Maranello, 9 October – The study of aerodynamics isn’t just used to find solutions to improve the performance of a Formula 1 car, but also to help go quicker on snow. 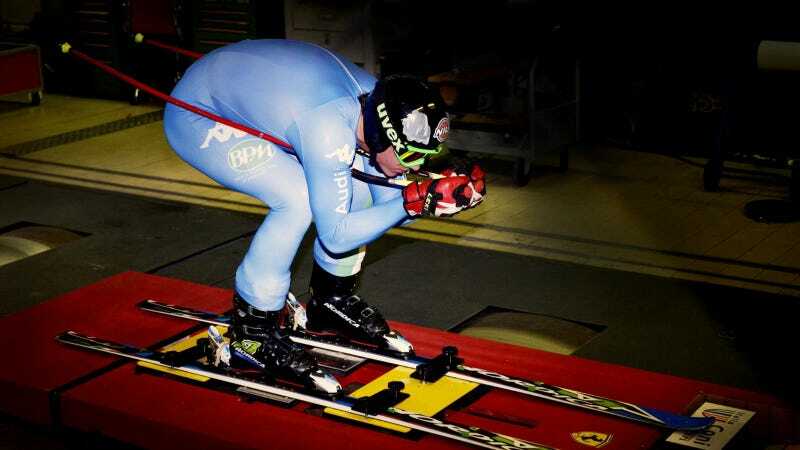 We aren’t talking here about the FF, the first Ferrari with four-wheel-drive, but the skiers from Italy’s World Cup team, who have been spending time at Maranello for a series of tests in the wind tunnel. This is part of a collaboration agreement between the Maranello company and the Italian Winter Sports Federation (FISI) and under the auspices of the Italian National Olympic Committee (CONI). After so much wind in their faces, the group of skiers had the chance to sample the thrill of speed on board a 458 Italia on the Fiorano track: a nice way to finish a hard day’s work.